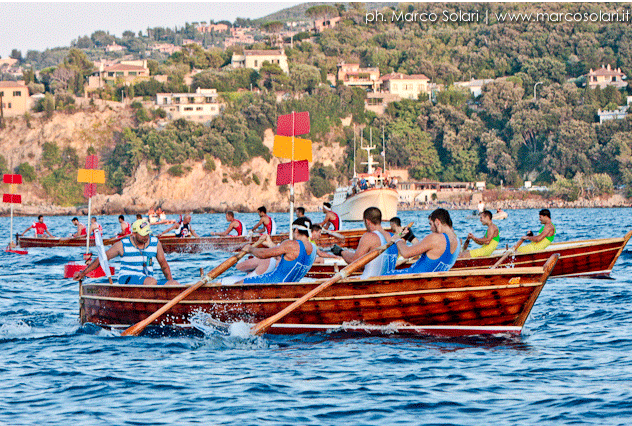 The traditional regatta called Palio Marinaro takes place every year on the 15th of August in the sea village of Porto Santo Stefano. This hamlet features colorful buildings perched on hills that overlook its two harbors and, at a distance, Giglio Island. 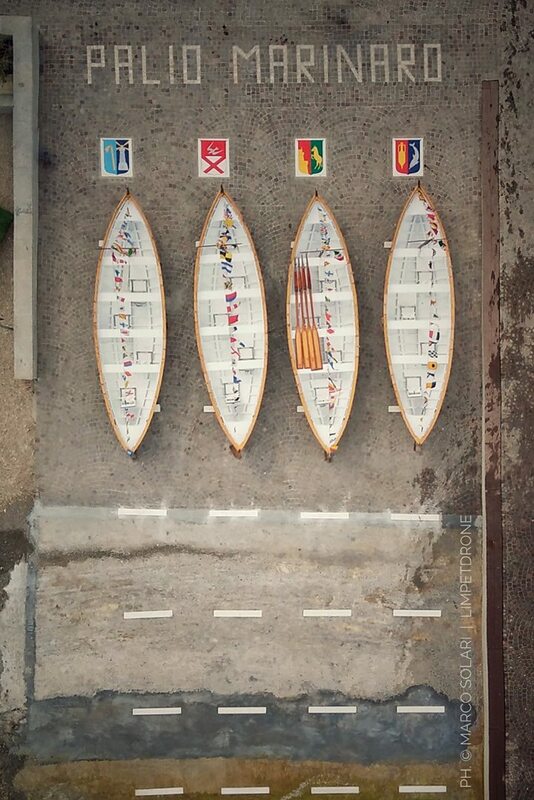 The Palio is a historic event that dates back to 1937: the tough 4000-meter regatta involves a competition between 4 four-oared small boats with coxswain. Each represents the local neighborhoods (called rioni) of Croce, Fortezza, Pilarella and Valle. 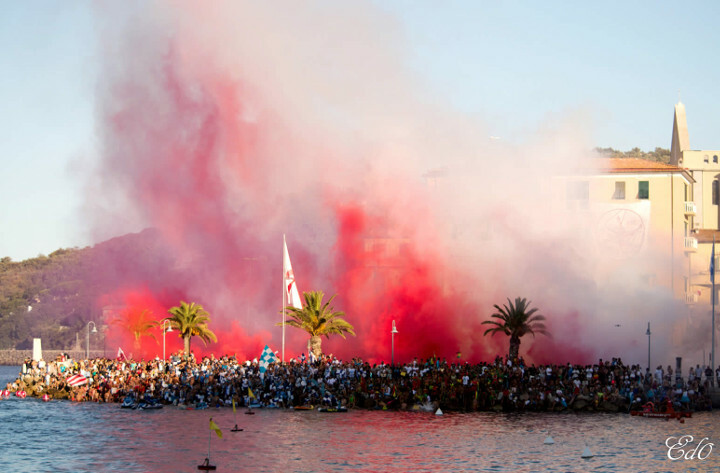 The locals cheer fervently throughout and throw themselves in the sea at the end of the challenge. There are different theories on the origins of the Palio Marinaro. According to one, it evolved from an ancient initiation festival that prepared young people for the difficult life at sea. Another version is that it started as a celebration of how local inhabitants escaped from the Saracen pirates thanks to their seaworthiness. Here is a video of one past edition. While here are some photos of the 2017 edition (photos by Marco Solari – Edo Rossi). 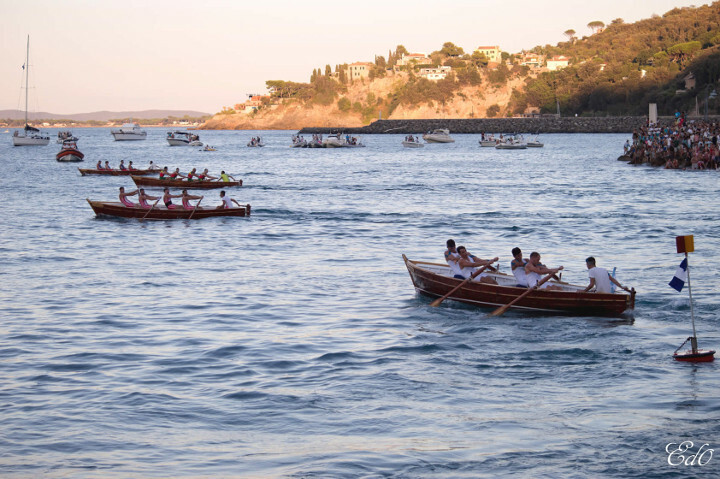 If you are traveling in southern Tuscany in mid-August, make sure not to miss the Palio Marinaro! For more information, videos and photos, please visit www.palioargentario.it. This entry was posted in video and tagged argentario, maremma, palio, porto santo stefano, tuscany . Bookmark the permalink.